Groundhog Day has a dual meaning every year as Dalton High School sophomores are also looking for a shadow opportunity. 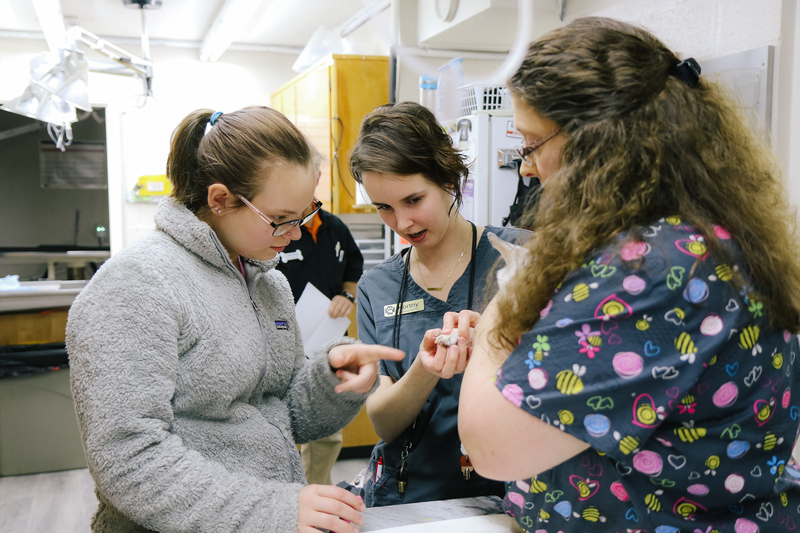 This year, forty-one sophomores spent January 30 learning from professionals in their field of interest, ranging from healthcare, education, sports management, pharmacy, nutrition and more. Work-Based Learning Coordinator Larry Tripp said that hundreds of DHS students have benefited from the connections since the Groundhog Job Shadow Day experience began in 2001. Maddie King was eager to look behind the curtain of the Dalton Police Department's investigations department. She has always been interested in criminal investigation and plans to take the criminal justice course offered at DHS next year. "I would like to go into this field, so I wanted to know what they do every day," explained King. "It has been interesting because obviously every day in this kind of environment is different. I was able to learn how Detective John Edwards goes about getting arrest records and does all of the paperwork. And I saw all of the patience he has." Detective Edwards said he hoped King would gain insight on the day-to-day happenings of an investigative office. "Interviewing suspects, interviewing victims, paperwork, obtaining search warrants.... Some days are more exciting than others, but it's important to understand everything involved," he explained. "This type of work takes patience and good people skills. Cases do not always turn out the way you want or expect, so to have those skills is important." take animals temperatures, cut their nails and more. "In a way I'm glad she got to see not the 'bad side' but the reality of the job. Sometimes you might have to struggle with an animal if they don't want to give blood or whatever it is," said Laura, registered veterinary technician. "I'm glad we had the surgery today for her to look at, but it's also good when the fuzzy, cuddly animals come in that are easy to work with. So hopefully she'll decide this is something she wants to do." 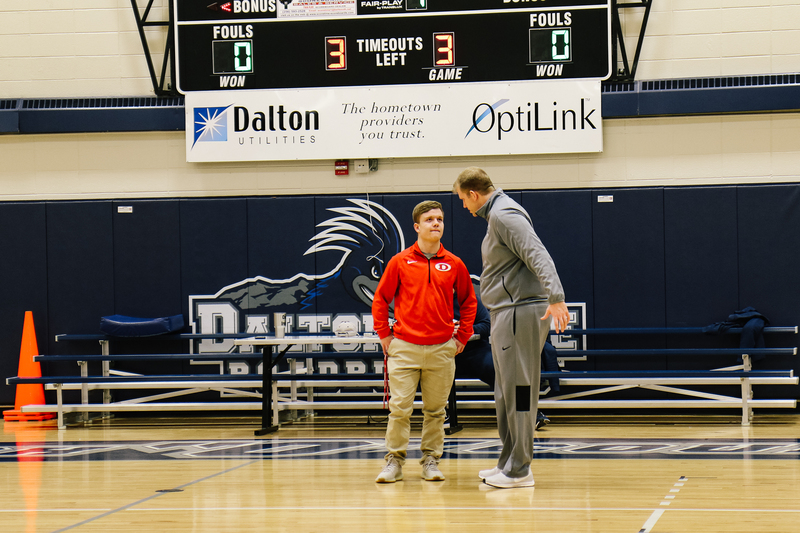 Rhett Tripp spent the day shadowing Dalton State College Interim Head Basketball Coach Alex Ireland. "I know I want to go into this industry, so it's good to get an early start and meet people who can help me and mentor me along the way," he said. "Today I learned there's a lot more to the job than what you might see on TV. There's a lot of time, effort and hard work that goes into it." Ireland said he and Tripp spent the day talking about the process of coaching and the routes to get into it and different ways to work the way up the ladder. "I wanted to show him that there's so much more to coaching than just coaching at the game," he said. "He got to see some of the office aspects of it, a little of the film side, and some of the small things where he can take what he is learning now in school and apply them to coaching at the collegiate level."